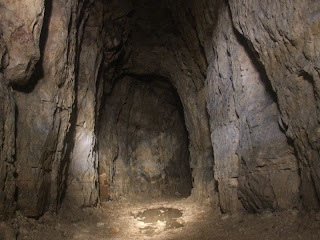 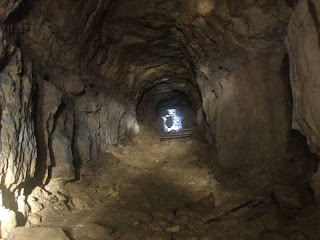 Subterranean History: Snape Mine, East Sussex. 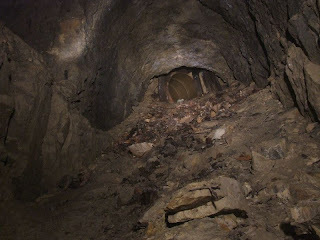 This mine is located in Snape Wood and was worked following the discovery of Iron ore during the construction of the railway line near Wadhurst. 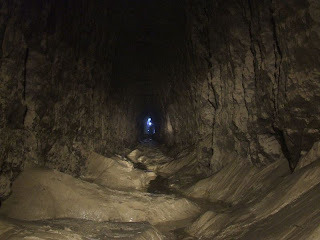 There are two separate workings, one either side of the railway track. 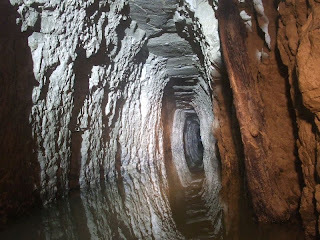 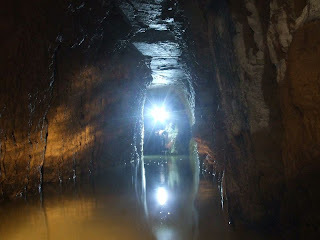 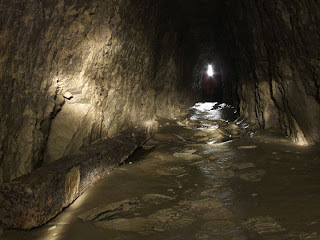 The smaller of the two chambers has a rising water level towards the end, making further exploration difficult. 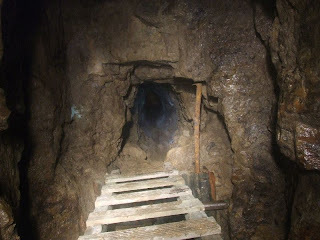 Access to the mine is managed by Kent Underground Research Group, pictures from KURG visit in 2008.